What did the Vikings eat? The standard Viking was just like any other average person during the feudal period. They grew their own crops and raised their own animals. Due to being located in a northern climate, this meant that the Vikings grew barley, oats and rye, as these were the crops that grew best in their native soil. 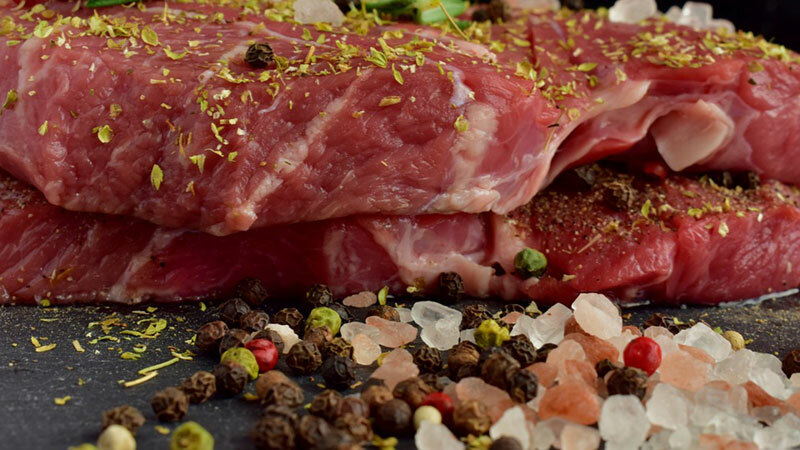 Meat acquired from the livestock they raised also played a major role in the Viking diet. This included cows, horses, oxen, goats, pigs, sheep, chickens and ducks. In addition to this, they fished and hunted their local wilderness, eking out an existence as best as they could in a harsh and demanding time period of humanities history. 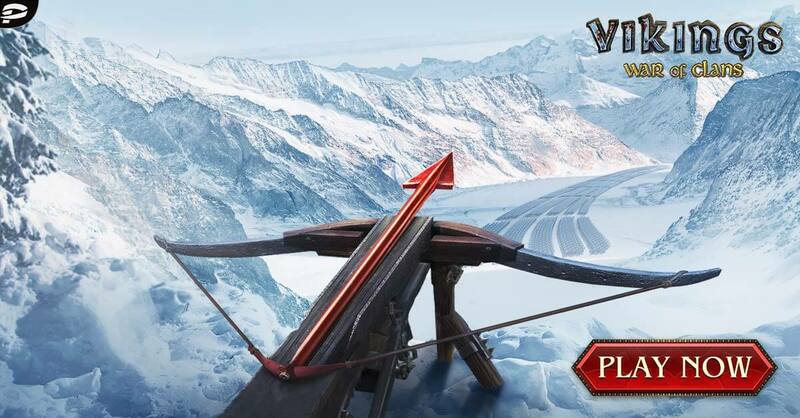 The Viking warriors were renowned and feared across the world for their skills in raiding, pillaging and plundering. Yet, little is known to the vast majority of people about how the average, everyday Viking lived and survived during the Age of Vikings. 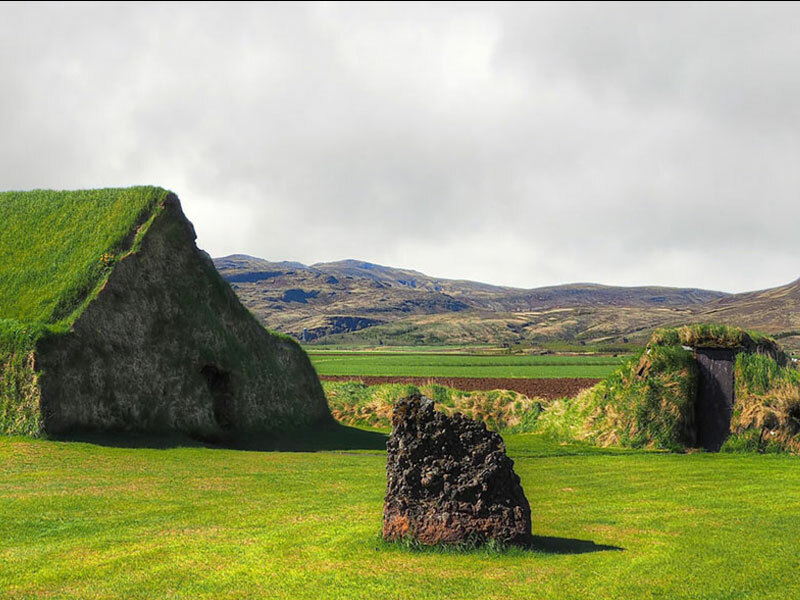 The average Viking farm was small, however, it was more than large enough to provide for their own family, allowing them to be largely self sufficient. Sadly, the Vikings were not known to write cook books and therefore not many ancient vikings recipes exist. However, what we do know is that the grains the Vikings grew on their farm played a large part in the daily Viking diet. Using the oats and barley they harvested to make a flour, which was then turned into a dough and baked over an open fire on a griddle, the Vikings created a flatbread. In addition to this, the Vikings grew a vast variety of vegetables, of which played an important role in the Viking diet. 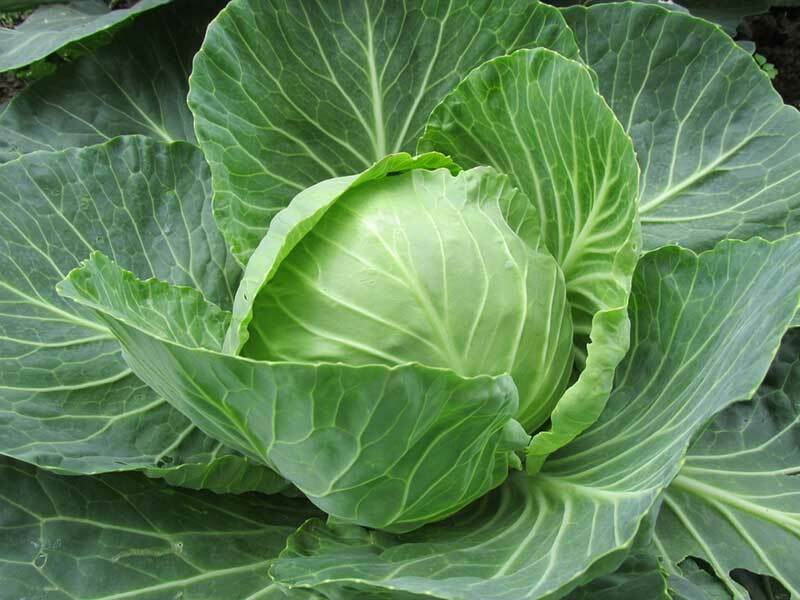 These included cabbage, onions, garlic, leeks, turnips, peas and beans. Meanwhile, the women and children of the Viking family acquired additional vegetation from the wilderness, harvesting an assortment of local plantation. This included nettles, docks, cresses and lambs-quarters. The Vikings could not survive on vegetation alone and required a steady supply of protein to supplement their diets. 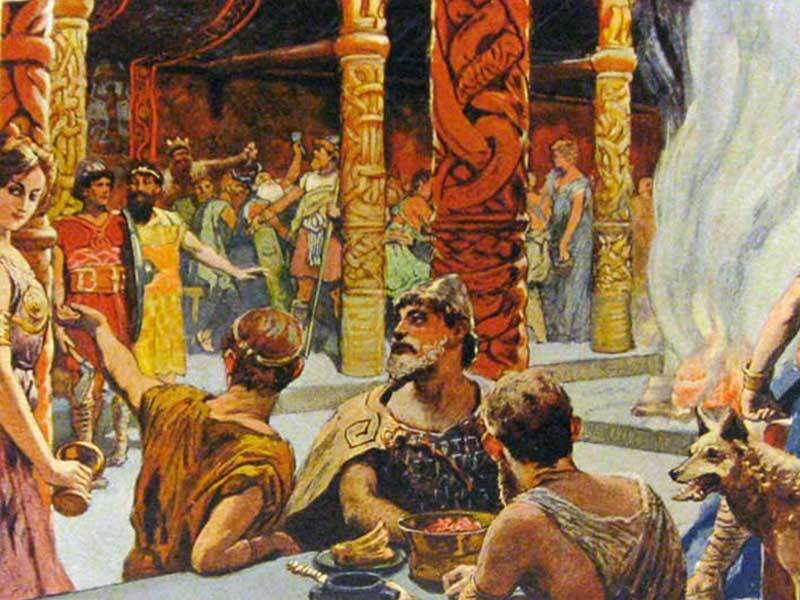 As mentioned in the opening of this article, the Vikings raised a large assortment of livestock and thus had a large selection of protein to add to the Viking menu. Vikings ate beef, goat, pork, mutton, lamb and poultry. Occasionally, they also ate horse meat in times of need. Many animals which the Vikings tended were not only raised for their meat consumption, but also for the additional resources that they created. Viking cows were often well advanced in their years before being slaughtered for their meat, meaning that the Vikings milked their cows for dairy. Going further than this, the Vikings used the dairy they acquired, crafting cheese, skyr, curds and butter. Also, the Vikings gathered both duck and chicken eggs, of which made up a steady part of their diets. Additionally, the Vikings were skilled fishermen and hunters. They fished whatever fish they could acquire both from the ocean and from nearby freshwater sources. This was easily accomplished due to Viking settlements typically being located on the coastline. Fishing in fact made up such a large part of the Viking diet, that it is estimated it constituted 25% of their diet. Having to grow, harvest, hunt, or gather their own food meant that the Vikings had to stick to a strict schedule and work as hard as they possibly could, in the time that they were given. Most of norse food was seasonal and therefore they needed to “make hay” while the sun shined, with little time to waste, they rose at the crack of dawn and began their daily chores. The first meal of the day was known as the “dagmál”, or “day meal”. This was the Vikings breakfast and was ate typically one to two hours after the days chores had begun. For the dagmál, the adults would usually eat some leftover stew from the cauldron, from the previous nights meal. Along with this, they would usually eat some bread and fruit if available. The children would have a serving of porridge and a combination of bread, dried fruits, or buttermilk. The dagmál, which was ate between 7am to 8am would have to sustain them for the entire working day. The second and last Viking meal of the day was known as the “náttmál”, or “night-meal”. This meal was served at the end of working day, between 7pm to 8pm and was the Vikings dinner. 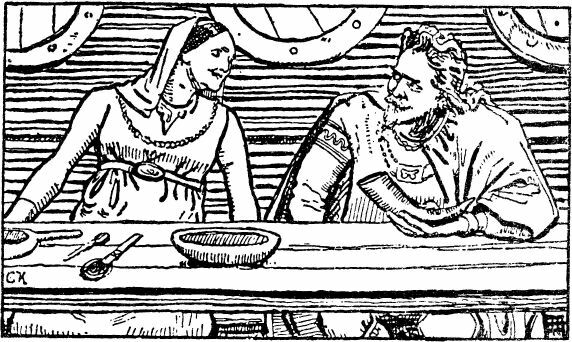 Viking wives did the cooking and were responsible for preparing the meal, of which was usually a fish or meat stew, prepared with vegetables. Along with their stew, the Vikings had bread, and occasionally some fruits or nuts sweetened with honey. Honey was the only sweetener that the Vikings had at their disposal. To go along with their meals, the Vikings drank ale mead and buttermilk, all of which they crafted themselves. 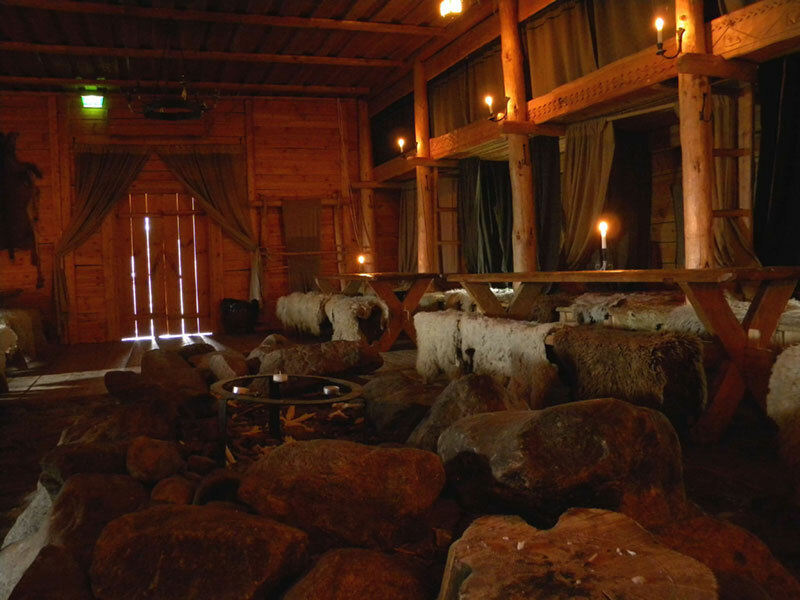 Once the náttmál was finished, the Viking day was largely complete and they would settled in, with the elders telling the children stories as they snuggled into their warm blankets around the central fire for the evening. Many tools have survived from ancient Viking history and were typical of other households during the Middle Ages. These tools would look surprisingly familiar to most people today, as most Viking cooking was done using tools that we still use today. Meat was slaughtered, skinned and prepared by the men of the house, while the food was prepared by the females of the house. Once readied, the meat, along with the other ingredients that would be used to make the Vikings stew would be boiled in an iron, clay, or soapstone pot over the máleldr or “meal-fire”, which was the hearth used for cooking. In addition to this, the Vikings were quite advanced and would eat their food with handmade wooden utensils and skewers, that look similar to what we use today. Sadly, as was mentioned previously, the Vikings did not record their recipes during the Age of Vikings. However, as the Vikings slowly transitioned and evolved from their “old ways” of raiding, pillaging and warfare, they began to integrate themselves more and more into everyday European life. As their way of living evolved, they also began to adopt many of the culinary practices of their neighbours, integrating different spices and ingredients into their traditional norse food. The recipes and styles of cooking that followed this time period is what is now considered traditional Scandinavian food. 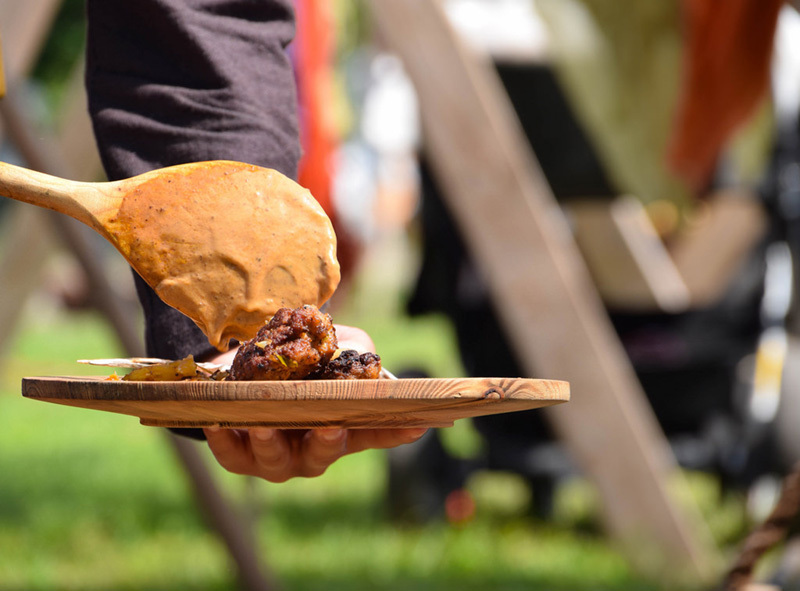 Although many of these ancient Viking recipes are delicious in their own right, scandinavian food has continued to evolve and become even more delicious, while at the same time still pays homage to the ancient ways. To this day, chefs from the Scandinavian region continue to reproduce, recreate and reinvent these ancient recipes, while at the same time plough forward into the new age, crafting delicious new meals that would make their ancestors proud.